Many technical books about plastics are too theoretical and difficult to read. The intention of this book is to offer something completely different: it is easy to read with many examples taken from everyday life. It is suitable for readers at secondary school and university levels, and can be used for training activities in industry as well as for self-studies. Included are nearly 600 colour images to illustrate the wide variety of plastics and process workflows used today. The book also contains a number of computer-based tools that can be downloaded from the author's website. 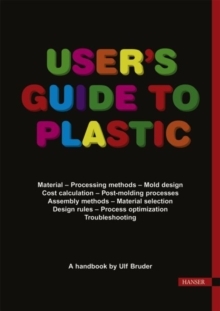 With comprehensive coverage, this is probably the most versatile plastics handbook ever written!